5 Features I’m Looking Forward to the Most in ON1 Photo RAW! 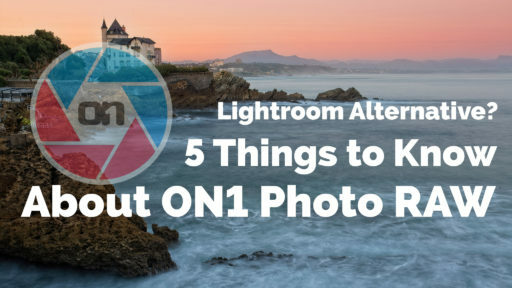 If you’ve been watching the ON1 Blog for the past couple of weeks, you’ve probably started seeing more and more updates about the upcoming ON1 Photo RAW. I’ve had the luck of being able to get a sneak peak at how the new software is going to run and let me say this; it looks incredible. I am right there with you, salivating over all the new features, ready to jump right in! I feel like the news hasn’t quite hit everyone yet. The new ON1 Photo is a RAW. FREAKING. PROCESSOR. Do you have any idea what this means? I’ve loved ON1 for a long time – much longer than I’ve even worked for them – and my largest problem has always been the lack of RAW editing. The add-on effects and image adjustments are wonderful, but access to RAW images is a must for me. So when it was originally announced that this was the upcoming product release during the fall, I was pretty excited. Like so many other photographers out there, my first step in processing an image is developing in a RAW processor. It gives you a sense of what you have access to in a photo: Can I drop those highlights down enough to make the image usable? Can I reduce the noise enough to make the photo appear less grainy? Does this image even have potential? RAW makes the easier by being completely non-destructive and allowing you huge amounts of wiggle room to test the limits of your photos. It creates a world where you can push and pull every slider, make crazy changes all over the place, then just hit a reset button to start again from scratch. No secondary PSD files where you’re testing out effects. No annoying “ Oh shoot, how did I edit that photo? I want to recreate it!” feeling. No need to worry that you’ll loose your original, straight-out-of-camera shots. Just pure RAW editing with no commitment. And if you’re like me, commitment is overrated. Get ready for RAW, everybody. It’s going to completely change your editing game, guaranteed. No more pre-processing elsewhere, it can all be done here from now on. 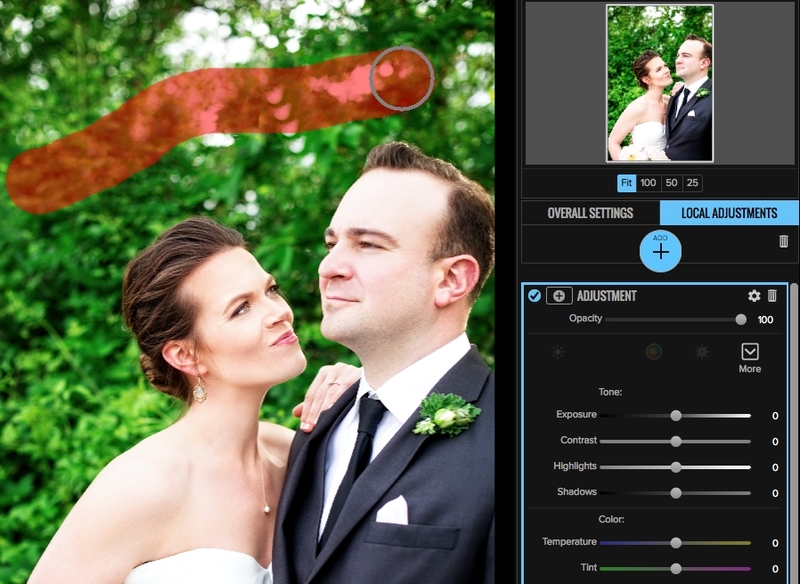 When I retouch wedding photos, I’m retouching hundreds on images. After hours of staring at the computer screen for days, you start to zone out and miss things. So as I jump from portrait retouching to Effects editing, I’ll be looking at a photo and suddenly notice I missed something – it could be the power line I was trying to remove from the background or a noticeable pimple on the brides face. Currently, I’d have to save my photo, jump back to my retouching module (either Layers, Portrait or Photoshop), then remove the unwanted objects. And let me say this to you all now, this happens to me ALL THE TIME. An embarrassing amount of time. Constantly. 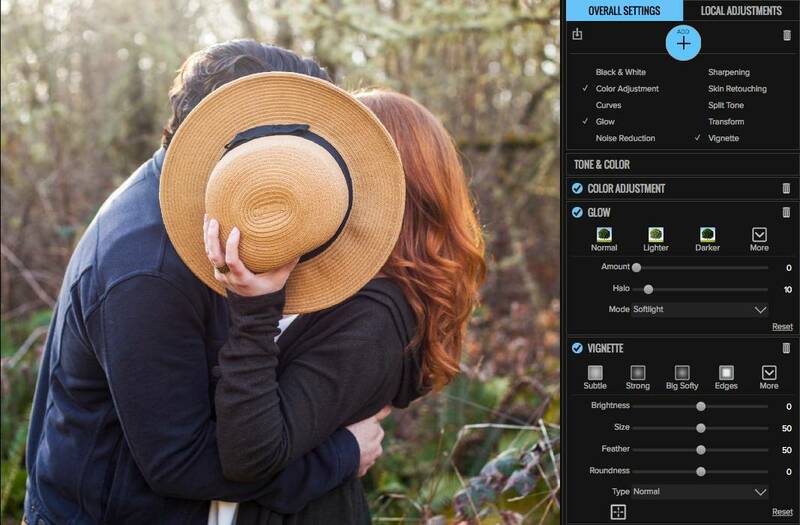 Now, there’s no waiting for a save to touch up a photo. It can all happen in the same place. Oh, did I miss a spot? Not an issue, I’ll just remove that little power line with my Perfect Eraser and move right along like nothing happened. Easy as pie. 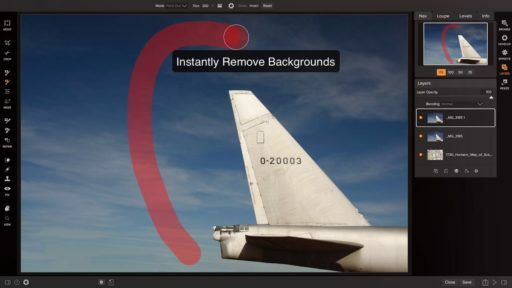 This isn’t something that’s just for retouching, it’s also the brand new Soft-Crop tool that you’ll find everywhere. Sitting with an image in Effects, do you start to get annoyed that you didn’t crop out that weird post in the bottom corner? No problem, just crop it right there! Uh-oh, did you over-crop? Easy-peasy, just undo and start again, no commitment required. 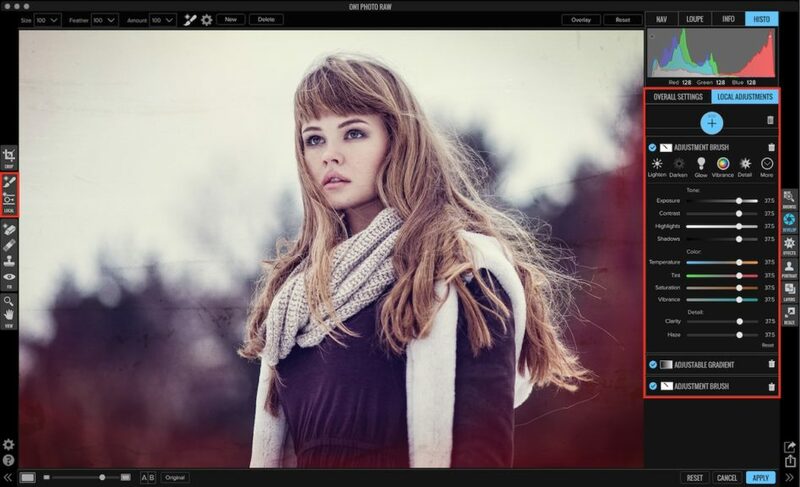 With tools following you from module to module, you’ll never have to worry about where your retouching happens again. It’s hard for me to admit that Effects can get better, because it’s a product I highly recommend and use on a daily basis. However, one of the coolest new features popping up in the new version will be an easier-to-edit Effects Stack. While you’re adding your favorite filters to an image, let’s say you want to jump back into your first Tone Enhancer filter and adjust the Shadows. Instead of hiding all the effects you’ve added while you edit your tones, the new Effects keeps every layer ON while you make adjustments. Top, bottom, and anywhere in the middle; every filter is reflected on your image unless you delete it. This makes editing so much easier in Effects. If you’re like me, you’re a total editing commitment-phobe; I add a Sunshine filter, add a few more filters, then realize I don’t like that original Sunshine adjustment. Now I just jump back into it, lower the amount, and move right back into the rest of my editing. I can see what I’m doing in real-time and in relation to all the other filters I’ve applied. If you didn’t think Effects could get any better, you were wrong; it just did! Everything is re-editable. Seriously. It’s not just with our new Raw processor, it’s all over the place. Want to apply an Effect, but then change your mind? No problem, pop your photo back into Effects and add a new filter. Want to add portrait retouching, but then realize it’s too harsh? Not an issue, head back into Portrait and lower those sliders. Need to crop a photo down, but still want access to the original? You got it, re-crop until you’re satisfied. Nothing you do to an image is applied until you export (or Save As) your photos to another file format. It’s that simple. It’s so simple, that all I can say is: WOW! This idea is a combination of everything we’ve talked about, but I really want to reiterate it to all my fellow ON1-lovers. Over the years, my workflow has changed as software changes. 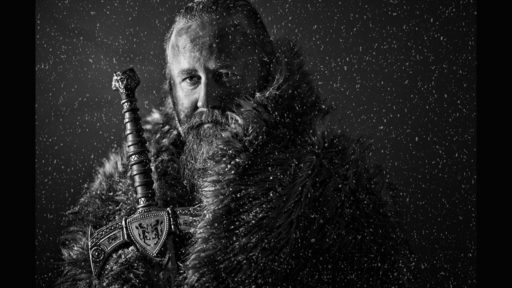 It can be frustrating sometimes, but it’s also fun for me: I LOVE retouching and photo editing. It’s honestly more of a passion to me than photo-taking. Every time there’s a new update or a new tool, I’m all over it. What does it do? How can I make this work for me? Ooh, can I use this in my workflow? Editing should create joy, not dread! However, I understand the annoyance of software updates too; is this really going to make a difference in my every day life? 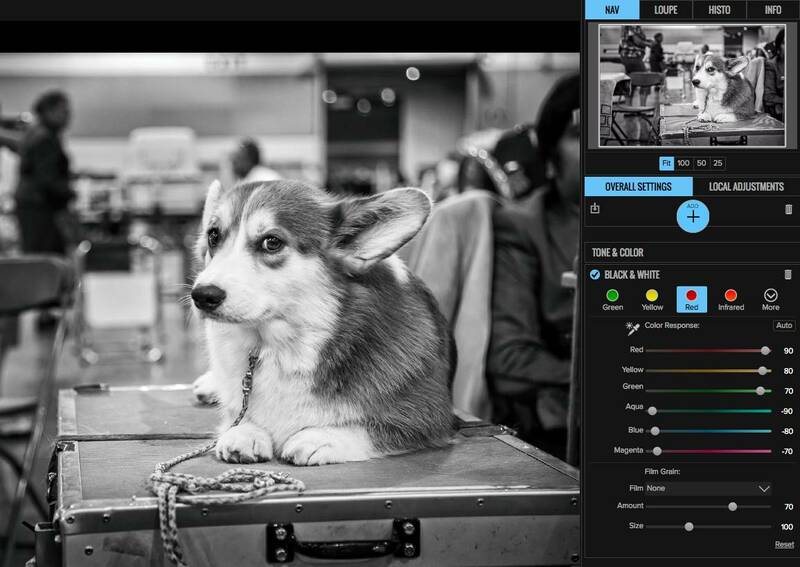 The simple answer for ON1 Photo RAW is: HECK YES it’s going to make a difference. A huge one. Is there a new RAW processor? Check! A new Crop tool? Check! Access to retouching everywhere you need it? Check! A faster Browse? Check! An easier Effects stack? Check! 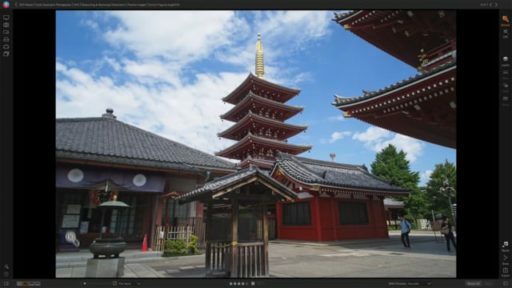 Non-destructive editing throughout? Check! I could keep going and going, the useful additions are endless. What this all does for you? It makes your workflow possible in ONE SINGLE APP. No more jumping all over to access this feature and that feature, it’s right there in ON1 Photo RAW. And the best part? There’s even more to come in the future. ” Editing should create joy, not dread! ” Well said and I am certainly salivating. In the days of film and home film/print processing I wound up spending 80% of my time in the dark and 20% taking the picture. ANYTHING to lower that 80% of time is a good thing. Unfortunately instead of being in the dark now I am reading how to do it. Adobe, ON1, and Kelby have replaced the darkroom and the drum processor. BUT at least I get to spend 40% of my time with the camera. Hmm, I wonder if that old SX-70 still works, or should I get an Instax. Ah ha! I found this in the compatibility section of the support page. That should be in every emailed communication that ON1 sends. My mouth is watery too. I have hard time waiting for extra 5 weeks. Meanwhile, I came to a stupid conclusion that PhotoRaw can’t be the end of the road. There must be something to improve, to make PhotoRaw a living creature with following versions 2, 3, etc. Thus, first edition can’t be perfect. It definitely is not going to be perfect from the get go :-) We will e.g. miss features like comparison/survey mode, but most importantly – virtual copies, so that you can work on multiple versions of your image. Good news those features (plus many more) are planned for the future. Btw – Liz – how do you feel about the Develop vs Effects? To my understanding, Develop contains almost half of the Effect modules – where’s the boundary when you decide between the two? Will it be able to process Fuji RAF files from the X-T2? I have recently bought this camera with a view to replacing my old Canon 1DS MKIII but have struggled with any landscape which contains trees or grass in Adobe Camera Raw!! We hope this will be a part of the initial release, if it isnt it will be a free update. It is something our dev team is work very hard on. It will be important for ON1 to do updates as new cameras come out, the Fuji X-T2, has now been out for over a month. I’ve shot with the X-T2 and detailed areas of the photo, like grass and trees, can have a “wormy” effect when viewing in Lightroom. This is actually not a condition of x-trans, but a result of the default Sharpening that Lightroom applies to imported photos (it’s set to 25 by default) which works well with my Bayer files, but makes my x-trans files look worse. I would check and see if Adobe Camera Raw is also applying a default Sharpening value. I reduce the Sharpening value, increase the Luminance and Detail slider and voila! Hopefully, it will also work in Camera Raw for you. Look forward to support in ON1 Photo Raw. Bump! I have the same question. I am going to continue shooting with my Xe1 and XT1 for a long time. Get Fuji Raw Files right out of the chute. I’m super-excited. And crossing my fingers there’s some consideration for RAW+JPG files in the same directory. Having to pay attention to which one I’m looking at (and not, say, obscuring the JPGs) makes Photo 9.5 hard right now (but still awesome for not having a database). A very tiny nitpick: point #4 got labeled as #3, giving two point #3s. I currently use DxO Optics Pro 11 for my RAW processing. How does the upcoming ON1 Photo Raw compare? In other words, would I actually gain anything by purchasing ON1 Photo Raw over the capabilities I already have? A more general comment – I started with Perfect Photo 5 I think, upgraded, but eventually succumbed to slow performance and instability when switching between modules. 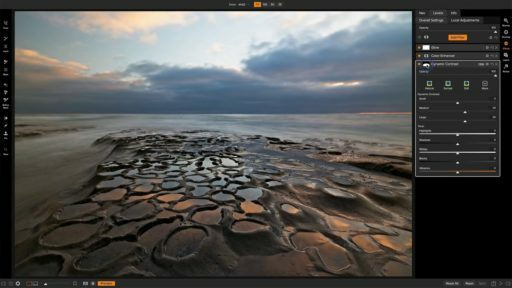 I’ve played briefly with Photo 10, performance and stability appeared vastly improved – I’m looking forward to the new release and further improved speed and stability. Wish-list? Tools for luminosity masks and capability to selectively apply in the effect brushing through another mask – ala Tony Kuyper’s “masking the mask” approach.